Measure the Sugar, Honey and 200ml of water into a heavy based saucepan. Place over medium high heat and bring to the boil. Keep cooking the syrup until it reaches 126 degrees Celsius on a sugar thermometer. While the syrup is cooking, put the gelatine leaves in half and place in a bowl. Add 140ml of water and set aside for the gelatine to soften. Measure the egg whites into a clean, grease free bowl. Whip using an electric food mixer to stiff peaks. When the syrup reaches the desired temperature, add the gelatine and water. Mix to combine; it may bubble up so be careful to not burn your self. Transfer the syrup and gelatine mix to a heat proof jug. While the egg whites are still whipping, slowly pour the syrup onto them. Once all of the syrup is added, add the vanilla, then keep beating on high for 6 minutes. While the marshmallow mix is beating, prepare the tray. Dust the base liberally with a mix of sifted icing sugar and cornflour. 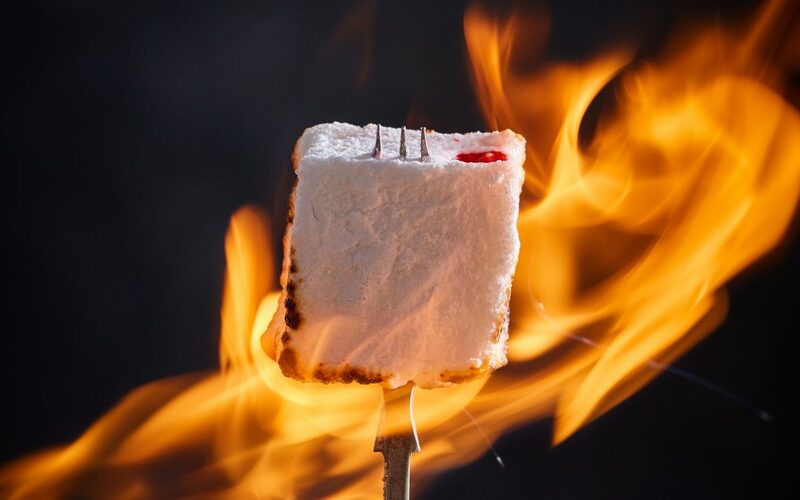 When the marshmallow is ready, spoon the marshmallow onto the prepared tray, gently spreading so it is even. 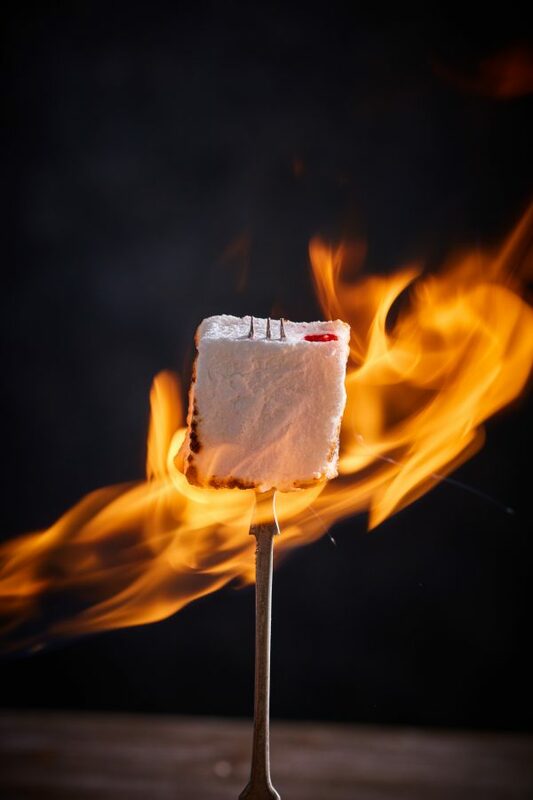 Place the marshmallow in the fridge to set for an hour or so. Once it is set, ease it out of the tray with a spatula onto a chopping board dusted with more sifted icing sugar and cornflour. Make a big batch and freeze for up to 2 months. Due to the high sugar content they freeze very well.